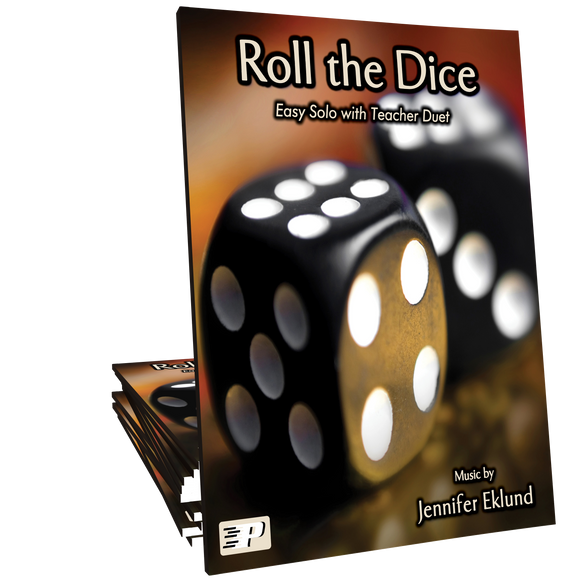 Roll the Dice is a jazzy duet for an early beginner and a teacher or intermediate player. 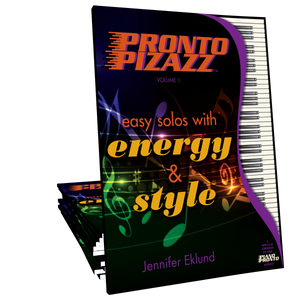 Music composed by Jennifer Eklund and part of the Pronto Pizazz songbook. I love the jazzy swing of this piece as well as how it makes my students internalize how to play sharps, flats, and naturals. The duet is amazing too! This is a great song for both your boy and girl students. 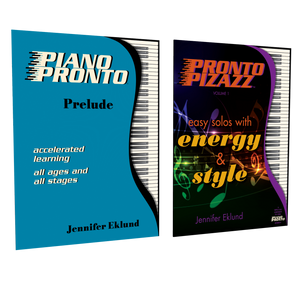 It's flashy and swingy and makes your beginners feel like they are playing awesome music. Very motivating. My students love the jazzy feel of this piece and I love how it makes them really think about sharps, flats, and accidentals! It's a winner.